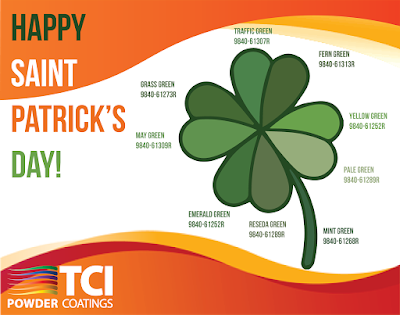 Happy Saint Patricks Day from everyone at TCI to you and your family! We wish for you the luck of the Irish today! Feeling the green? To inquire about our green coatings, visit tcipowder.com or call your sales representative.